Tom grew up in Wernersville, a small town in Berks County. 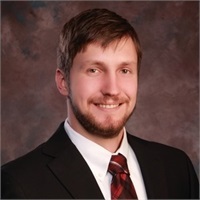 He graduated from Conrad Weiser High School and attended Shippensburg University, where he earned a bachelor's degree in Finance. In 2011, Tom participated in Shippensburg's study abroad program and attended the University of the Sunshine Coast in Sippy Downs, Australia. In 2014, he moved to Lancaster County, where he still resides with his wife, Samantha. As a Wealth Advisor, Tom is committed to helping individuals and businesses pursue their financial objectives. Tom underwent extensive training in 2015 regarding Social Security. He regularly attends industry training and educational events to stay up to speed with the ever changing landscape and to continue furthering his professional skills. He is also a member of the Conrad Weiser Rotary Club and enjoys traveling, golf and cooking.